Ngô Viễn Chí was born on 15 March 1944 in Yên Khánh Commune, Ý Yên District, Nam Định Province in North Vietnam. His father studied ancient Chinese art, painted portraits and wrote Chinese calligraphy, influencing Chí’s young talent for art. Chí studied at many schools in Hanoi due to the First Indochina War but graduated high school from Cao Bằng Town High school (Trường cấp 3 thị xã Cao Bằng). During high school, in the 10th grade, Chí acted in the famous film, Kim Đồng. It was the first time his wife saw him. He was also a talented writer and won an award for a writing piece at high school. After completing high school in 1964, Chí moved from Hanoi to South Vietnam and joined the People’s Liberation Armed Forces of South Vietnam’s (PLAF), Unit B10 of Group (Đoàn) 86, based in a forest in Lộc Ninh District, Bình Phước Province. In 1967, after he was found to have a talent in art, Chí was transferred to the Political Division (Phòng Chính Trị) of the General Department of Logistics (Cục Hậu Cần). He also attended drawing classes set up in the forest by artists Huỳnh Phương Đông, Cổ Tấn Long Châu, and Huỳnh Văn Thuận. In 1969, he started working for the Ballistics Department in the General Department of Logistics. In the same year, he also enrolled in a course teaching how to make films. In 1969, Ngô Viễn Chí met his wife, whom he married in 1972. Since their marriage, Ngô Viễn Chí and his wife worked for the Education and Propaganda Board (Ban Tuyên Huấn) of the Political Division (Phòng Chính Trị). She belonged to the Propaganda Department, while he worked in the Painting Department. However, despite this seemingly close proximity, Chí’s constant travelling meant they saw each other irregularly, sometimes for as long as over a year, putting some strain on their relationship. After the Fall of Saigon, unlike many soldiers and government workers that were allowed to return to their families in April, Chí only returned to his wife and child in October due to an ongoing assignment. She supported him often by giving him money for drawing materials because his office did not provide them. Ngô Viễn Chí was a prolific painter during the Second Indochina War. 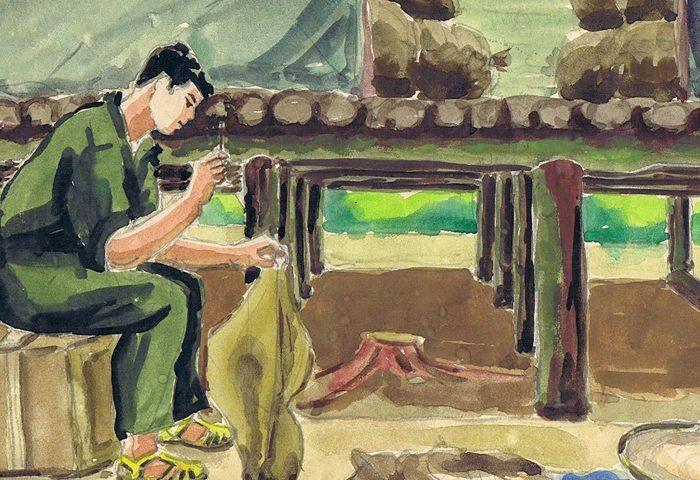 In April 1972, Chí painted in Lộc Ninh, Bình Phước Province, for the Logistics Bureau with his artist friend Quý Viện, whom he travelled with often. While there, Chí painted workers making mines for the B1 Z1 Military Supplies Unit. The B1 Z1 Unit made, repaired and improved weapons for the 7 and 9 Infantry Divisions of the People’s Army of Vietnam (PAVN) operating in the resistance zones of South Vietnam. He also painted military supply depots, military weapons depots and hospitals. In 1974, Chí visited Đoàn 814 (Đ814), a military group comprised of Units 81 and 84 that served the Rear Service Bureau (Cục Hậu Cần). Ammunition, medicines, rice and military equipment were brought to the road and transported on the Măng River to Đ814. Wounded soldiers were taken from Đ814 to hospitals like K50 on the return trip. From July to September, Chí painted Đ814 loading bays along the river and guerrillas preparing rice, medicines, medicinal alcohol and fabrics. He also documented the K11 clinic servicing Đ814. The clinic was located on the Măng River, which was part of the border between Cambodia and Vietnam. 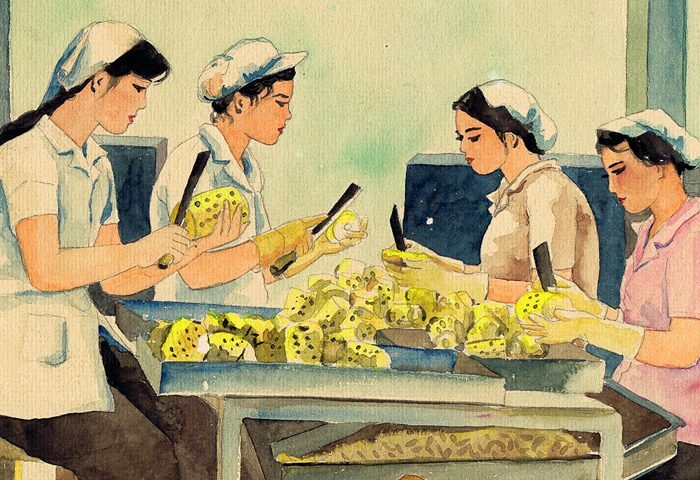 After liberation in April 1975, Chí continued with art assignments in Mỹ Tho Province. In September 1975, Chí conducted an assignment to Vì Dân Hospital, a hospital belonging to the Logistics Bureau that received and provided treatment for all wounded soldiers from the battlefields in Tây Ninh Province. 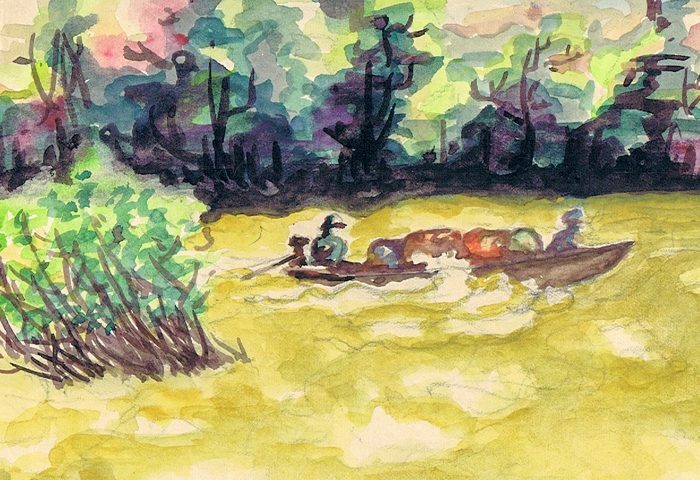 Again with Quý Viện, and with the hope of finding his old unit (Unit B10 ), Chí travelled by bicycle through the province stopping on the way to paint in various places. 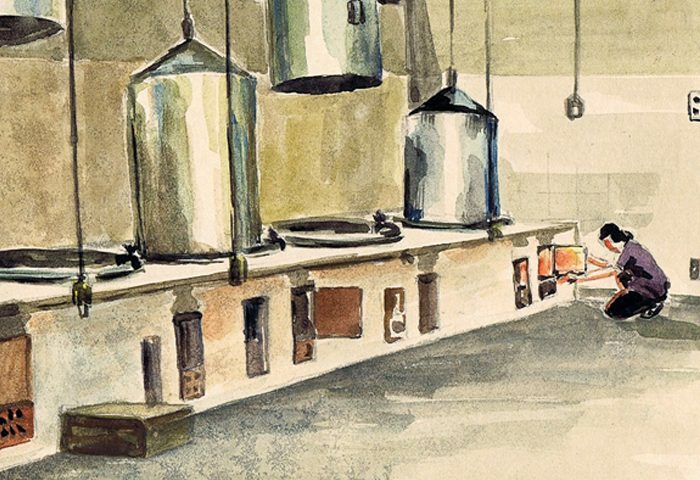 When he arrived, both artists stayed at the hospital for five days painting the hospital’s facilities, including the kitchen where large tanks released steam for cooking. In the same year, his family was given a small house by the army to live in. After October 1975, the government enrolled Chí to study at Saigon Fine Arts College, which later became Ho Chi Minh Fine Art University. The house previously donated by the army was taken away and later replaced by a bigger house on Ấp Bắc street, Tân Bình District, Ho Chi Minh City. Many artists continued to make annual painting field trips after 1975, though they could choose the locations they wanted to paint. In 1977, Chí and his friend Quý Viện chose to paint locations around Ho Chi Minh City. Chí also became a member of the Fine Art Association’s Painting Department in the same year. In 1979, during the conflict between Vietnam and Cambodia, Chí’s wife took part in making liberation flags at the Department of Logictiscs (Cục Hậu Cần) to hang in Cambodia. Chí continued his painting assignments and his wife did not know where was working at the time. She also continued to help him acquire painting materials. He graduated the Ho Chi Minh Fine Arts University in 1982, after 7 years of study, and started work making advertisements for the Information and Culture Division (Phòng Thông Tin Văn Hoá) of Tân Bình District in Ho Chi Minh City. Chí retired from the Information and Culture Division in 2008 but continued to travel often on painting assignments while his wife took care of the family and continued to support him. He continued to paint until his death. 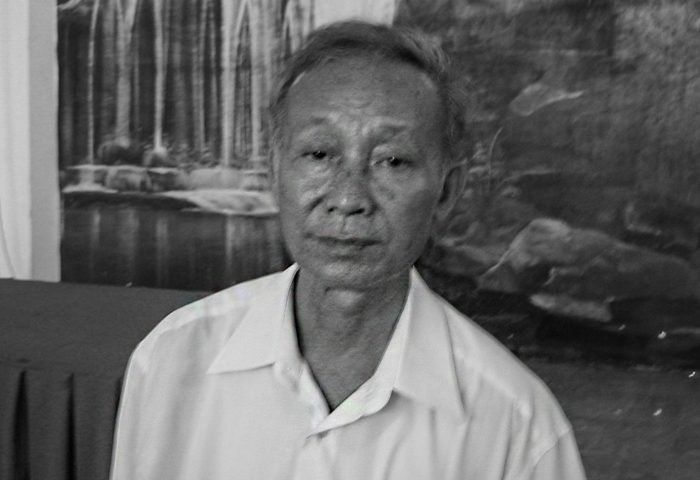 Ngô Viễn Chí passed away on 30 August 2012. Ngô Viễn Chí, July 1974. "Vận chuyển hàng hoá vào chiến khu; Ý chí mạnh hơn thác dữ; Đ814 (Transporting supplies to amilitary zone; Will is more stronger than fierce falls; Đ814)." Watercolour and pencil on paper. Ngô Viễn Chí, September 1974, "Kho gạo; Trí thú như của nhà; C11-Đ814; Kho phân ra chịnuôi sàn gạo (Rice Storage; Dedicated working spirit; C11-Đ814; A woman and soldier separate rice and rice seeds." Watercolour on paper. Ngô Viễn Chí, 1977, Ho Chi Minh City area. "Cắt mắt thơm; VC (Removing pineapple eyes; VC (artist's initials))." Watercolour on machine-made paper, artist's inscription written in ink. 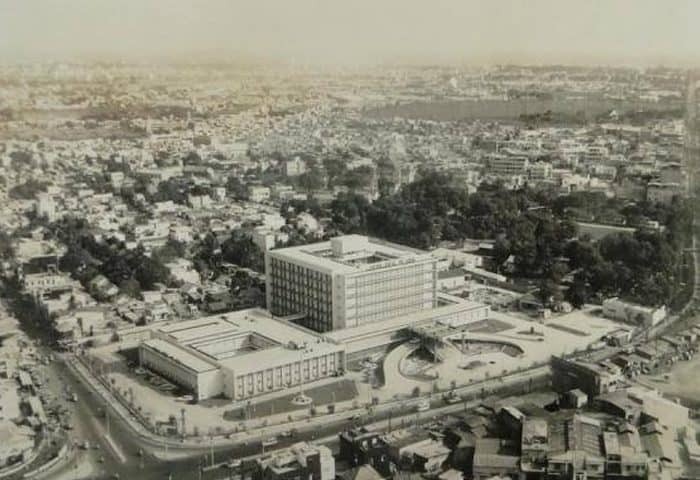 Ngô Viễn Chí, September 1975, Bệnh Viện Vì Dân, Saigon. "Hệ thống bếp của Bệnh Viện Vì Dân phục vụ thương bệnh binh; VC (Kitchen system at the Vi Dan (People's) Hospital serving wounded soldiers; VC (Artist's initials))." Watercolour on machine made-paper; artist's inscription written in ink. Ngô Viễn Chí, 4 April 1972, B1Z1, Section 3, Military Zone Logistics Bureau located at Lộc Ninh, Bình Phước Province. "Đột Mặt Mìn; B1 Z1; VC (Drilling holes in the faceplate of mines; B1 Z1; VC (artist's initials))." Ink and watercolour on machine-made paper. Informal talks with Witness Collection at the artist’s house in Ho Chi Minh City in December 2005. Notes from informal meetings with the artist’s widow and from visiting artist Quý Viện, who was a friend and colleague of the artist during his career, on 11 and 17 March 2017. Also, an interview with the artist’s widow and Ngô Viễn Chí’s brother, Mr Ngô Đồng, in March 2019.